There is no point belaboring a “stop the identity politics!” argument because there is simply no way to excise the political clash of factions from the identities of those factions. There would be no point in clashing if there were no identities. There is no polity without identity. The root of the word itself in ancient Greek referred to the relationship between a citizen and the state, and the rights one has in relation to that state. Whereas individual communities have historically had rights infringed — often precisely because of their identities — it is of course a logical imperative to defend one’s rights under the rule of law. You use whatever tactics are available to you and that your ethics comport with to get your rights. All factions would do the same. Some might say the predominant historical thread since the founding of this nation is the gradual parity-seeking of the many groups that have migrated here over the past 241 years (and much longer still, before that). Most of them have had a long, hard road; many of them still do; and still new groups are becoming the focus of persecution in America as time goes on. How does one even have a political position without an identity? I often hear “economics” presented as the “alternative” to discussing identity, as if one’s economics can be separable from one’s identity; as if economics is separable from history (or as Jefferson called it, the “dead hand of the past“); as if economics is separable from one’s nationality; as if one’s choices in life have no relation to one’s station, or aspiration. 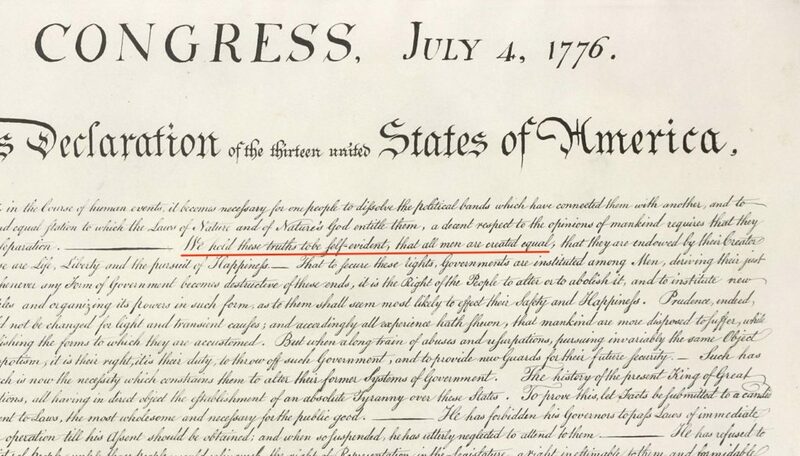 James Madison himself believed the unequal distribution of property was itself the most common cause of factionalism. There aren’t a lot of rich socialists. There aren’t a lot of poor Libertarians. So it goes. The question isn’t whether or not we talk about identity — the political question is “whose identity(ies) do we talk about?” Who gets resources, accolades, airtime, contracts, lucrative careers, investment funds, bailout funds, bail funds, etc. etc. Who gets rights, and who doesn’t. The former position is the classic view of liberal political philosophy (not to be confused with liberal economic policy, with which it is much conflated to all our detriment). The latter position is a belief in supremacy. Typically, this belief is accompanied by the belief that one’s own group is, of course, the dominant group and that other groups are the inferior groups that ought to be generally submissive to the in-group. Unsurprisingly to game theory or statistics, each faction tends to have such believers amidst its distribution of policy positions and political leanings. Some are more militant than others (quite literally). Whether we can live up to it is the question still, as it was when it began. In our time the “question” appears to loom large once again — a time when it is convenient for the powerful and wealthy to avoid even sharper scrutiny from a public set against itself like dogs trained for a fight. We all must have an answer to the question: equality or supremacy? Your answer becomes part of your identity and thus, your politics. Next Post Emotional Worldview: Are you an Internalizer or an Externalizer?